This summer has seen no shortage of buddy comedies, from The Hangover Part III to The Heat. 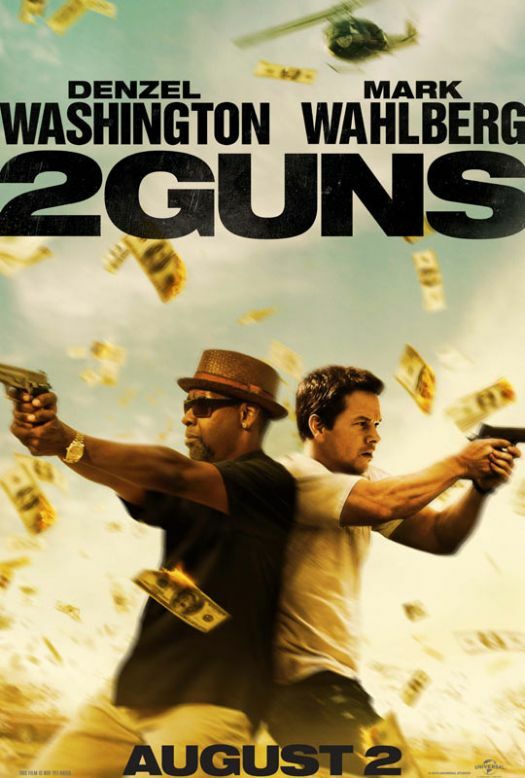 At first glance, 2 Guns with Denzel Washington and Marc Wahlberg wielding the titular weapons, seems like just another entry in the genre. But in actuality, 2 Guns is the most surprisingly entertaining film of the summer. The film has a slightly novel premise that mostly allows its main buddies to do even more shooting than they normally would. Walhberg and Washington play an undercover naval intelligence officer and DEA agent respectively, each running their own sting and thinking the other is a criminal. It’s a little hard to believe that two undercovers wouldn’t know about each other, but once you’re past that plot hiccup the film begins to shine. The film is a little too long and a little too casual with its violence. There’s a lot of shooting and explosions, but very little blood or consequences. In the moment it’s a lot of fun, but afterwards it feels strange. Likewise, the story is structured oddly, and certain plot points are repeated needlessly, but it doesn’t really matter by the end. The real charm is in the performances. Washington and Wahlberg are great here, each playing to their strong suits. Washington’s Bobby is experienced and wizened, Wahlberg’s Stig is young and hot-blooded. But the trio of villains is also worth mentioning, featuring Bill Paxton as a ruthless CIA agent, James Marsden as a corrupt Naval officer, and Edward James Olmos as a drug king pin (which in itself is an entire reason to go see the movie). 2 Guns really gets to the core of the buddy comedy principle: a bunch of guys together on screen, bonding and doing crazy stuff. It never claims to be any more than that, and so it succeeds. 2 Guns opens today at Philly area theaters.